After installing Kingpin CD version you will want to update your Kingpin version to the latest version. 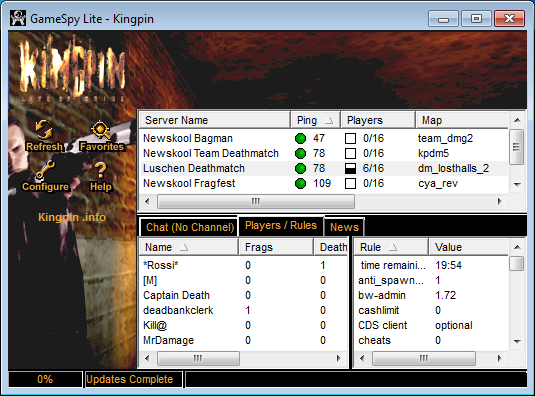 you don't have to update Kingpin, because you've already got the latest version. If you don't know which version you have, you can check it with kprespatch. You will also see that some digital version of website are different. If you want the orginal version, you can use the Kingpin 1.21 patch as well. You also could press Open File Location to find the exact location. And press the Unzip button. Kingpin should now be completely updated to the last version to play online. 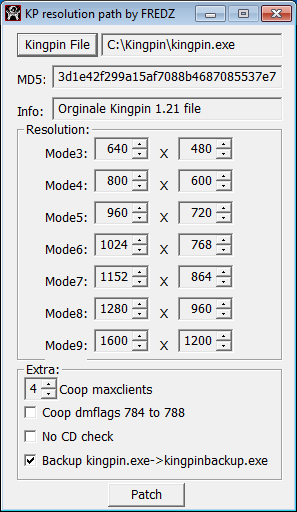 If you want a custom resolution or the resolution options are not fulfilling your desires, you can change them with Kingpin Multi Patch. Please note this patcher doesn't work with the Steam version of Kingpin. In that case, you'll need the Kp Steam Relosution Hack. If you get a missing dll error you will need to download vcredist_x86.exe Visual C++ Redistributable Packages for Visual Studio 2013 from Microsoft. 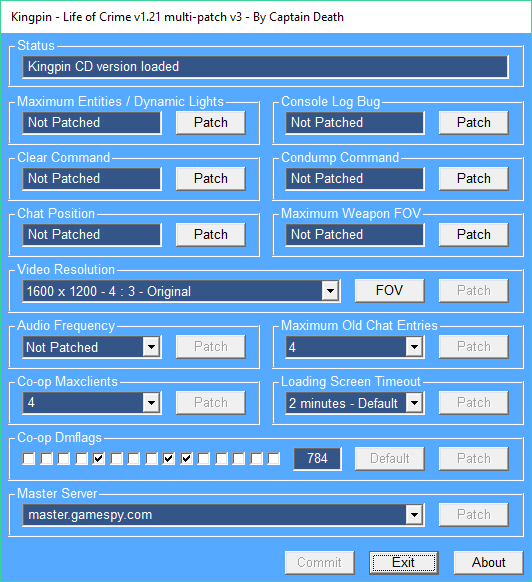 If you want other options like special resolutions, you could also try the KP Resolution Patcher. Gamespy Lite is not working since all their servers were shut down. So if you want to play multiplayer you should install the replacement of Gamespy Lite. Just extract it to your Kingpin/gamespylite folder and overwrite the existing file. 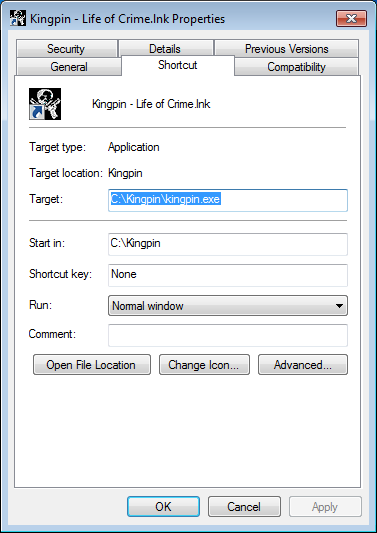 If you don't have a Kingpin/gamespylite just create one and extract the file to there.